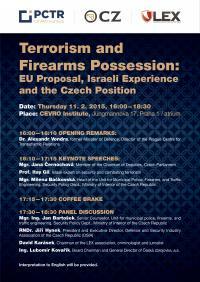 On February 11, the Prague Centre for Transatlantic Relations of the CEVRO Institute (PCTR) organized an international conference entitled "Terrorism and Small Arms Ownership: the EU proposal, the Israeli experience, and the Czech Position" in cooperation with the LEX – the Czech Gun Rights Protection Association. The lecture was opened and moderated by PCTR Director Alexandr Vondra, followed by keynote speeches by MEP Jana Černochová, Israeli expert on security Itay Gil, and representative of the Czech Ministry of the Interior, Milena Bačkovská. This was followed by a panel discussion with Jana Bartoška of the Interior Ministry, President of the Association of the Defence and Security Industry Jiri Hynek, board member of the LEX – the Czech Gun Rights Protection Association David Karasek, and CEO of Czech Arms Factory Lubomir Kovarik. Each session was followed by questions from the audience. The main theme of the conference was a response to the European Commission's attempt to revise the directive governing the sale and possession of firearms. All speakers agreed that the Commission's proposal does not reach the declared objectives in the fight against terrorism. One of the main problems of the new proposal identified by the majority of participants is the lack of effort to reduce the illegal arms trade. Additionally, participants noted the potentially dangerous effort to regulate the legal possession of weapons by law-abiding citizens. The Honourable Member Černochová warned of the Commission's efforts to disarm the citizens, and thus limit their freedom. Professor Gil then contributed his experience from Israel, where the key to combating terrorism and increasing overall security is marked not only by the actual possession of weapons, but also by thorough training. Milena Bačkovská reminded the audience that the current Czech position on the possession of weapons is no longer sufficient and that the situation in some Member States also quite strict. In the second part of the conference, panelists agreed that the Commission's proposal must be confronted and that it would be key to seek support among other member countries. It was noted that adoption of the proposal would also have considerable economic consequences. According to Jiri Hynek, restrictions on the production of weapons and ammunition in the territory of the EU could mean the loss of skills that we need and the deterioration of the security situation. The conference was held with the kind support of partners, including the LEX – the Czech Gun Rights Protection Association, Czech Arms Factory, and Mr. Peter Mothejl. We are also grateful for the support of our media partners: the Czech-Israeli Chamber of Commerce, the Association of the Defense and Security Industry of the Czech Republic, and Security Magazine. 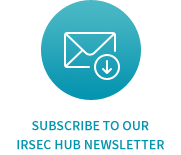 The program can be found here and biographies of speakers here.